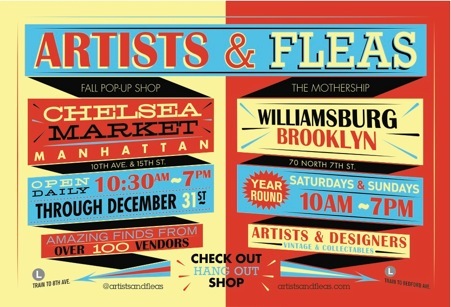 Artists & Fleas is back at Chelsea Market through December 31st! Now there are 2 locations for shopping an eclectic offering of vintage finds + modern design. Take 1 heaping tablespoon of Brooklyn flavor, 2 dashes of Manhattan chic, add some Hamptons living to taste for 100% New York style. Find Cynthia Rybakoff modern vintage jewelry + fabulous jewelry, clothing and accessories from Brooklyn Bleu, Vale Jewelry, Handmade On Peconic Bay and many more. And in case you missed it, Here's some press from our recent Fall Fashion Week at Chelsea Market. Artists & Fleas Fall Pop-Up Shop at Chelsea Market is open daily at 15th & Tenth, under the High Line. The Mothership is open weekends year round, at 70 North 7th, Williamsburg, near the Bedford L train stop. Introducing our newest item for Fall 2012, the Edge Ring, in hand carved semi-precious stone. A dramatic one handed statement in architectural style to accentuate a structured jacket, or punctuate a pair of long skinny arm warmers. Available in sizes 5 - 10, the Edge is a unisex style. We know the boys will love it too! 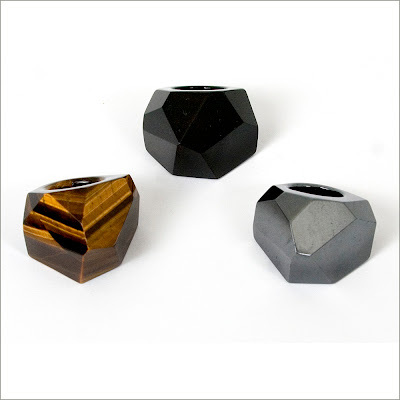 Cynthia Rybakoff Collection Edge rings in semi-precious stone, $86 - $118, available at Artists & Fleas.